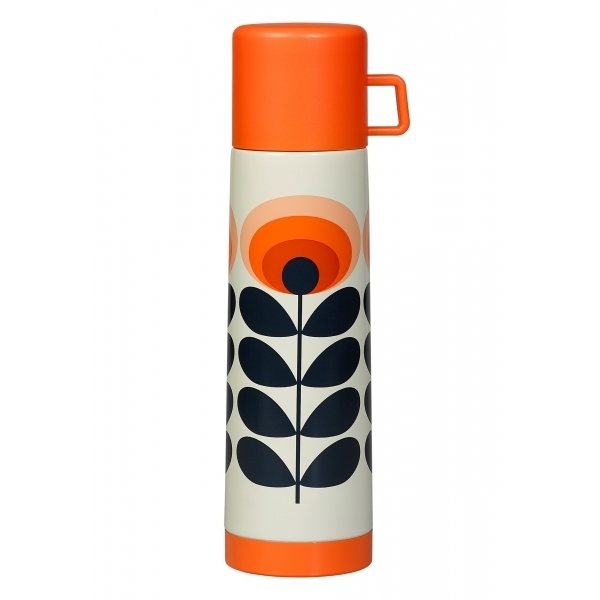 This eye-catching and practical Orla Kiely Large Flask features her ever-popular 70s Flower Oval design in bright Orange. A must-have accessory, the flask is as versatile as it is stylish. Made from vacuum insulated stainless steel, it will keep drinks hot for up to 8 hours so you can sip throughout the day and its handy lid doubles up as a cup. This flask will make a lovely gift for any fan of her cheerful retro designs. So lovely, so marvelous, so well built ! Even better than the snap shot ! Especially for the color ! I warmly recommand this item ! I also buy the other flask / bottles and they are also great !